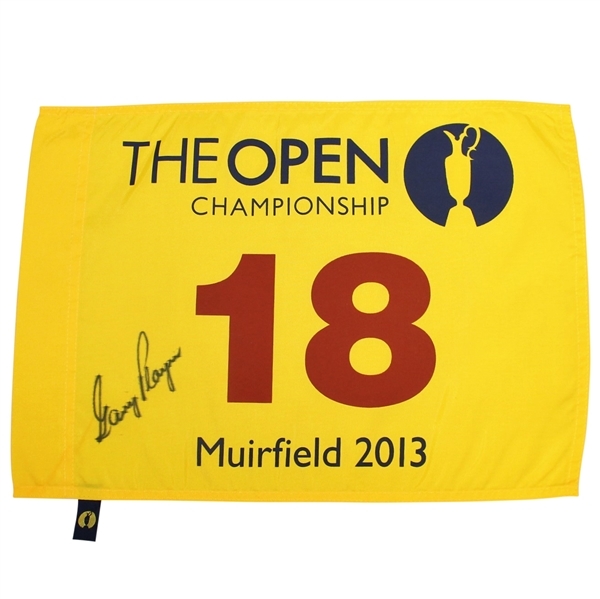 Here we have a flag from the 2013 Open Championship at Muirfield. Three time Open champ Gary Player left his signature on the flag in black marker. 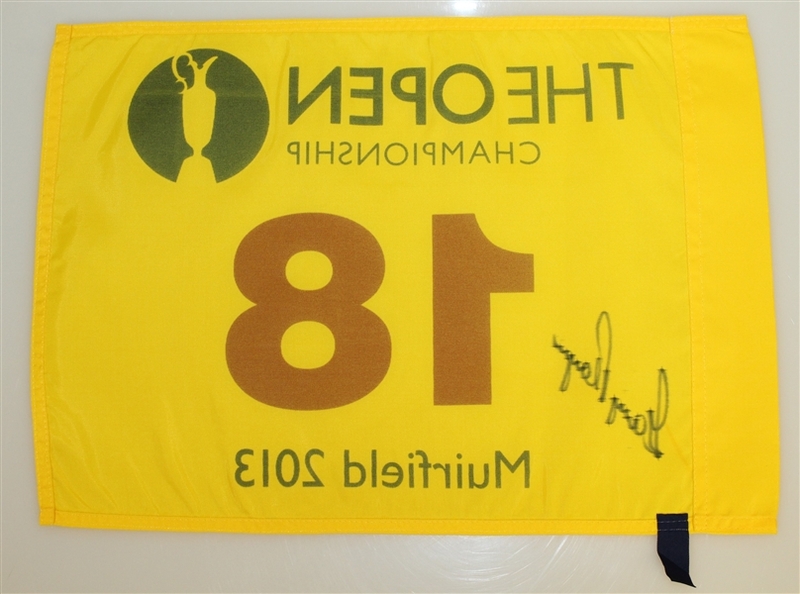 The 2013 Open Championship saw Phil Mickelson win his 5th Major over Henrik Stenson by three strokes.